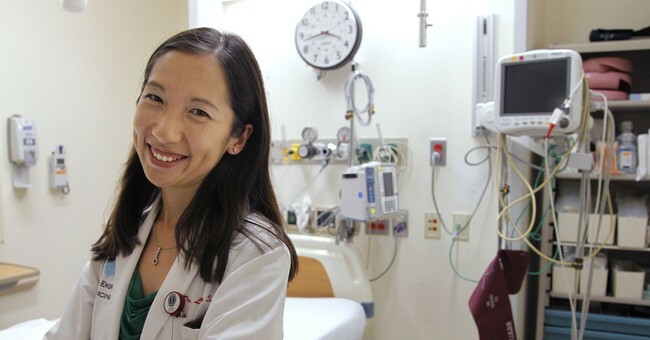 Planned Parenthood President Leana Wen clarified her vision for the organization in a series of tweets Tuesday after a Buzzfeed interview described her focus for the nation’s largest abortion provider as “nonabortion health care” in their headline. Wen emphasized that the “core mission” of the abortion giant is indeed abortion. She also described Planned Parenthood as a “powerful political force across the country” and highlighted the group's advocacy to expand abortion access. First, our core mission is providing, protecting and expanding access to abortion and reproductive health care. We will never back down from that fight - it’s a fundamental human right and women’s lives are at stake. Our advocacy work is crucial to delivering on our mission. The 2018 midterms, including the record number of women and the historic pro-reproductive health majority elected to House, prove that Planned Parenthood continues to be a powerful political force across the country. The Buzzfeed article’s framing of Wen’s vision for the group is understandable, however, given that she did not even say the word “abortion” in many of her initial interviews with the media after assuming her role in November. She has also repeatedly insisted that the focus of the group is healthcare, not politics. Buzzfeed’s Ema O’Connor rightly noted this shift in tone from Wen. Wen, a doctor and former Baltimore health commissioner, discussed ideas she had to expand the services that Planned Parenthood affiliates offer to include treatment for issues ranging from diet to depression to addiction. Wen also addressed the recent New York Times article which featured current and former Planned Parenthood workers complaining of discrimination at work because of their pregnancies. Wen said that she was unaware of the parental leave policies of some affiliates when she took the job. The abortion group has promised an investigation to review these policies. Wen will be embarking on a five month tour of the abortion group's affiliates as she looks to expand the group's services. Planned Parenthood performed 321,384 abortions over this past year, according to their latest annual report.